With its rounded metal cap and the hefty iron base, the tough Rocking table lamp has a raw, industrial look. Thanks to the deep grooves in the base, you can easily adjust it as you wish. Using it as a reading lamp? Then you can direct the light straight onto your book or magazine, so you can read with ease. For mood lighting, you can easily turn the direct light in a different direction. With its rounded metal cap and the hefty iron base, the tough Rocking table lamp has a raw, industrial look. Thanks to the deep grooves in the base, you can easily adjust it as you wish. Using it as a reading lamp? Then you can direct the light straight onto your book or magazine, so you can read with ease. For mood lighting, you can easily turn the lamp and its direct light in a different direction. 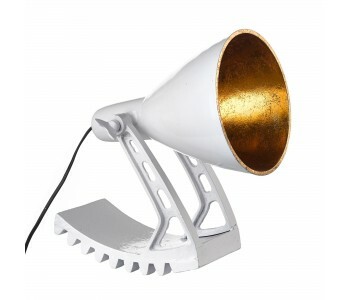 The combination of the raw appearance with a warm glow of light makes this lamp a striking addition to your home. The industrial look has been gaining popularity in recent years, in the home too. Everything can be sturdier. Paint is left to peel away and brickwork and concrete are exposed. 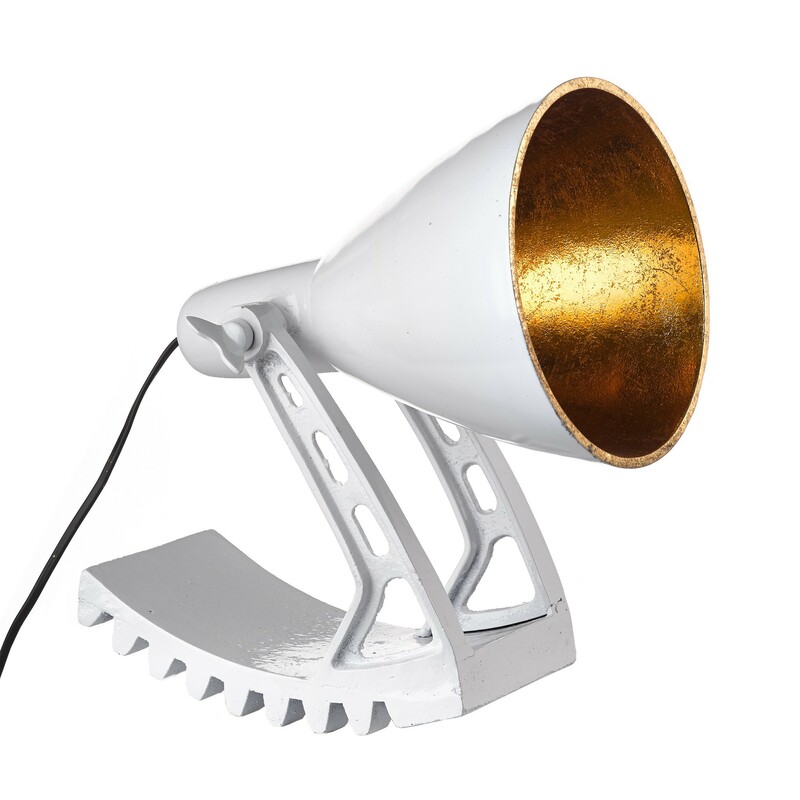 With the Rocking table lamp from Pols Potten, you instantly bring an industrial touch to your interior! Pols Potten has been offering creative solutions for every space for more than 25 years. Whether it's an interior for a showroom, a hotel, or your own home, Pols Potten has the right design object for you! The designs are subtle, innovative, and unconventional, with clear roots in Dutch design traditions. In our selection, you will find a range of lamps, as well as other Pols Potten products such as vases and candlesticks. Have a look around and mix and match to your heart's content!